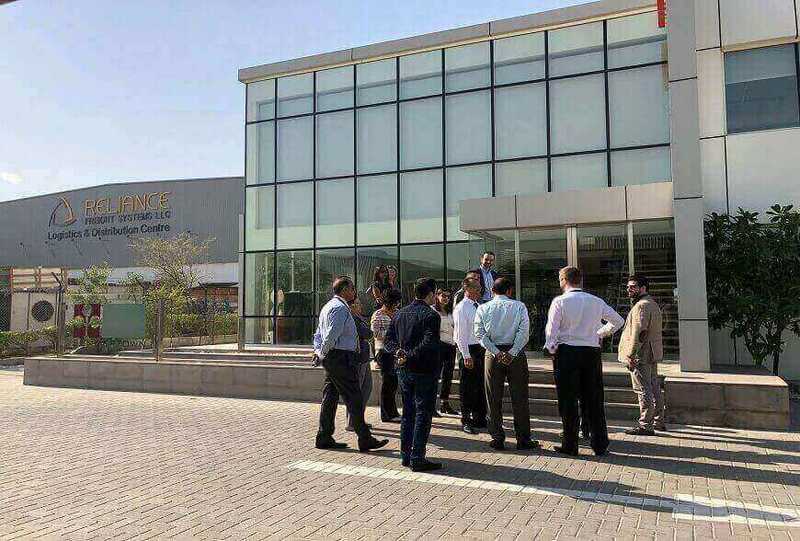 Yesterday we hosted Emirates Green Building Council (EGBC) members for a tour of our LEED and LEED Existing Buildings; Operations & Mainatenance (EBOM) certified office. 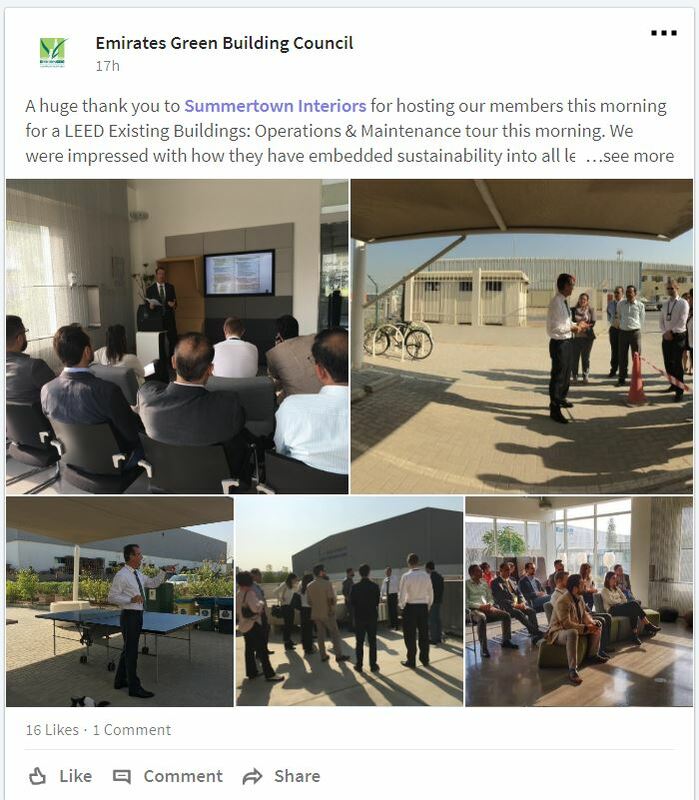 The focus of the tour was to highlight the benefits of green interiors, and technical aspects of adopting sustainable certifications such as LEED EBOM. Thank you to all those members that attended and the EGBC. Sustainability is fundamental to Summertown’s business strategy and we are committed to raising awareness of sustainability practices, and developing knowledge though the exchange of ideas with sustainability focused groups and associations like EGBC. If you would like to know more about our sustainability goals click here to read more.